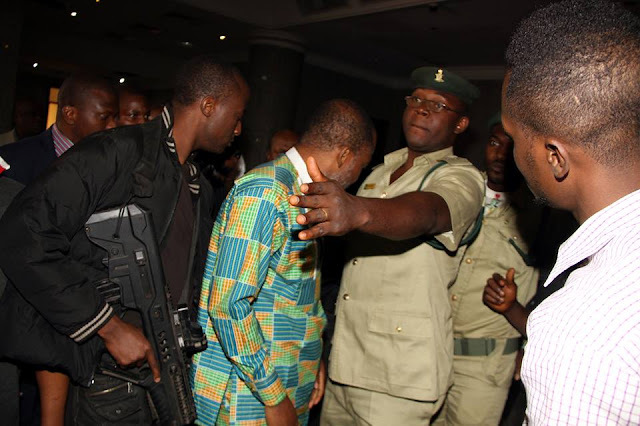 spokespersons, Mr. Emma Mmezu, a lawyer and Dr. Clifford Iroanya, alleged that the life of Kanu is under serious threat by the activities of the DSS and some prison officials they are using to unleash some dehumanizing treatments to him. The IPOB statement read: “Our leader’s life, Mr. Nnamdi Kanu is under serious threat. The DSS has been using some unscrupulous prison officials to unleash some dehumanizing treatments, such as firing dangerous chemical substance into the cell room of Mr. Kanu who has been in detention since October 14th, 2015 in Kuje prison Abuja. “They have not stopped at harassing Mr. Kanu, they are also harassing members of IPOB, Kanu’s friends and relatives who went to visit him in Kuje prison. They arrest anybody who went to visit him in Kuje prison.” IPOB alleged that the “prison authorities and the warders in Kuje prison shot poisonous substance in the name of disinfectant into Nnamdi Kanu’s cell room to suffocate him, and we keep asking who they are working for, and who sent them to kill him. “We further ask who brought the poisonous substance into the prison and why must it be fired specially into his cell room through his window to suffocate him? “The canisters of poisonous gas with bullet shell have been shown to British Government that went to visit our leader at Kuje Prison following the failed assassination attempt. We have in our possession incontrovertible evidence which has now been sent to the US for exhaustive analysis of the toxic chemical content. “The Nigerian government cannot tell the world where Nnamdi Kanu and his members committed crime, and instead of them to release him, they are still holding him and some other members in the prison and security cells throughout the country.” “We have warned before and will continue to warn that nothing happens to our leader Mazi Nnamdi Kanu, he should be released to go and get adequate treatment from his doctors for his present ill health, which came as a result of the aggravated abuse of his fundamental rights in prison”.